The Everpure EV9324-01 Insurice Single I2000-2 reduces water-related ice machine problems caused by scale buildup from dirt and dissolved minerals. 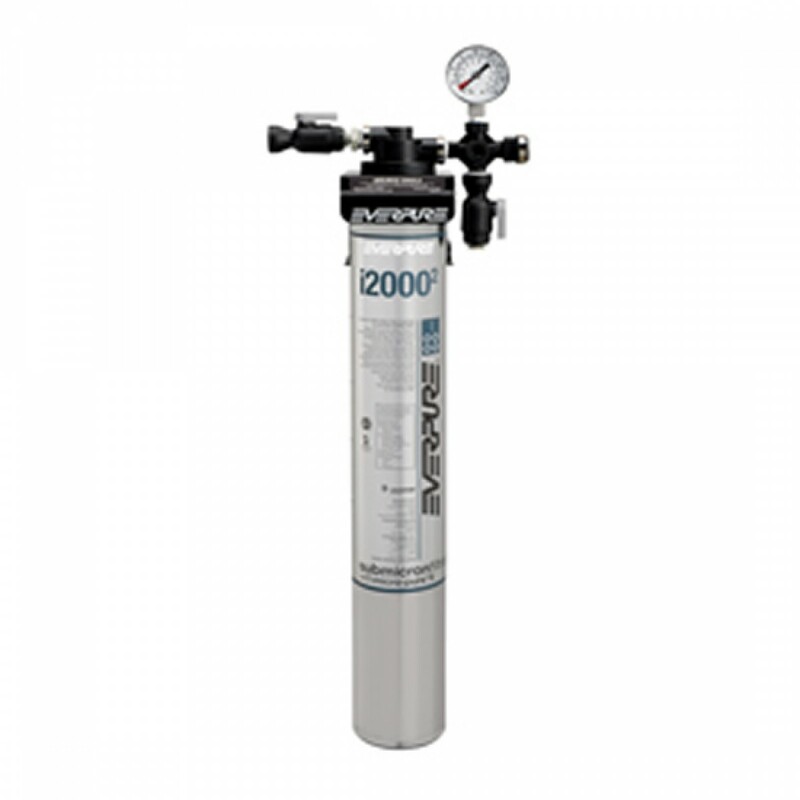 The EV9324-01 Insurice Single I2000-2 delivers premium quality water for ice applications. The Everpure Insurice I2000-2 Filter System features new and improved Micro-Pure II media with AgION antimicrobial protection which inhibits the growth of bacteria. The EV9324-01 Insurice Single I2000-2 reduces chlorine taste and odor and other offensive contaminants. The Insurice filter's self-contained scale inhibitor feed keeps ice machines functioning at full capacity. System reduces maintenance and service costs by reducing scale and clogging of distribution lines, evaporator plate and pump. The EV9324-01 Insurice Single Head System's precoat submicron technology reduces dirt and particles as small as 1/2 micron in size and reduces possible health contaminants such as cysts. Sanitary cartridge replacement is simple, quick and clean. Internal filter parts are never exposed to handling or contamination. The manifold has an inlet water shut-off valve with optional integrated sediment Prefilter, flushing valve and water pressure gauge. 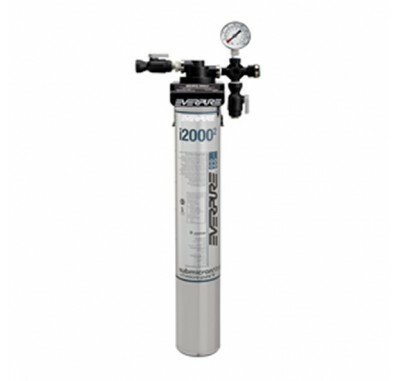 Insurice Single-I2000-2 System is NSF Certified under NSF/ANSI Standards 42 and 53.